The 3rd quarter of 2014 has shaped up to the busiest period in the four year history of Windows Phone. The infusion of 40 new devices and a total of 20 OEMs is the catalyst that Microsoft hopes will jump-start its mobile platform to improved market share. Microsoft Mobile OY (formerly Nokia), has already released 4 devices this year, the Lumia 530 (MSRP $115), Lumia 630 (MSRP $175), Lumia 635 (MSRP $189), and the Lumia 930 (MSRP $599). These four devices cover the ultra-low price range (smartphones under $150), low price range ($150-$250) and high price range (devices above $500). The Lumia 730 and Lumia 830 announced today at the IFA Show in Berlin, filling in the gap of the mid-tier smartphones. The 730, aimed to replace the Lumia 720 (released in Q2 2013), while the 830 is long overdue replacement for the Lumia 820 (released in Q3 2012). Recognizing the popularity of these two devices, the Lumia 720 and Lumia 820 are 8th and 7th (respectively) on the Top 10 Windows Phone devices by sales, Microsoft has upped the ante of features in each device while dropping the price. The defining feature of the Lumia 730, dubbed the Selfie Phone, is its 5MP front facing lens.. Paired with a new Selfie app. the 730 enables users to take high quality selfies. The Lumia 730 is a 3G only dual sim enabled, while the 735 is 4G LTE enabled. Both devices will be available in orange, black, white, and green and will be priced at KES 26,000 for the Lumia 735 while the Lumia 730 is priced at KES 23000 (before taxes). Both devices will be available globally this month. Microsoft calls the Lumia 830 the affordable flagship, and its specs show that this is not a baseless claim. Aggressively priced at KES 38000 (before taxes), the specs on this device are better than the Lumia 925. It is styled like the Lumia 930 with an aluminium frame and coloured backs. Unlike the 930 though, the 830 now has user replaceable batteries and swappable back covers. It is also thinner and lighter than the Lumia 930. It has a 1.2 GHz Quadcore processor and 16GB on-board memory expandable to 128GB with a MicroSD card. The Nokia Lumia 830 will also brun on the next version of Lumia Firmware, dubbed “Denim”. The 10MP camera in the 830 introduces innovative new imaging features called Dynamic Flash (which takes two images one with flash and one without, then allows the user to adjust the flash effect post capture) and Rich Capture which brings HDR to the Lumia platform. The camera of the Lumia 830 is can also capture 4K video as well as pull stills from the video frames. 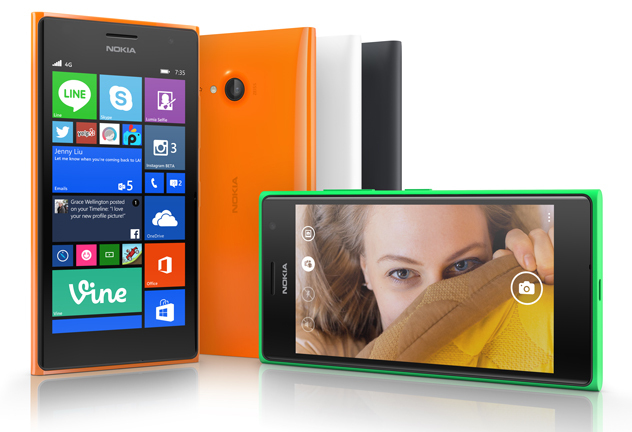 The Lumia 83 will be available this month in orange, white, black and green. I firmly believe that this device will quickly become on the best selling Lumia devices. Ardent Windows Phone Enthusiast (Since Launch in Oct 2010) and huge Microsoftie (from Office 365, Surface to Visual Studio). Mechanical Engineer (Lean MFG, Six Sigma). If you ever have any questions on anything Microsoft related, reach out via Twitter. The Lumia 830 is the “affordable flagship” from Microsoft Devices. There’s a 5-inch 720p screen, a 1.2 GHz Snapdragon 400 processor, 1GB of RAM, and a 2200mAh battery. Of course the 830 also comes with Nokia’s collection of apps like Here Maps and MixRadio as well.